It is time for fast turn over to your home before the winter with our carpet cleaning services in Mission Viejo. When you think about carpet cleaning Mission Viejo services it does not only mean the simple carpet cleaning job. In order to clean up your home and feel the clean air, you need more than that. Upholstery cleaning in Mission Viejo and air duct cleaning in Mission Viejo are two main factors as well. By choosing to clean all 3 aspects of your dust and dirt generators you will improve the quality level of the air in your home tremendously. in case you carpet, upholstery or air duct system is dirty, one feeds from the other and causes the spreading of the pollution. Yes, that also means you should consider area rug cleaning as it holds large amount of dust and bacteria. Everyday Carpet Cleaning Mission Viejo Service. 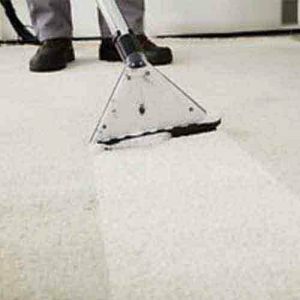 If you live in Mission Viejo California, and you are looking for a great carpet cleaning Mission Viejo service, you found it. 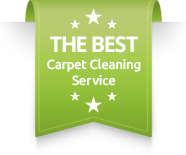 We are a leading Carpet Cleaning Mission Viejo service. In addition, we are highly rated in yelp and google reviews. We offer same day carpet cleaning Mission Viejo, and a variety of services to your home. Moreover, we are located locally and appreciate our local community by providing a high standard service. The need for same day carpet cleaning has increased over the years. Therefore we have developed a team that will help you solve your problems efficiently. We Offer More Than Just Carpet Cleaning Mission Viejo. Carpet cleaning Mission Viejo is definitely the essence of our company. Moreover, We have been working with management companies and offices for over 10 years. We pride ourselves for being punctual and professional everyday. In addition, you may need other services when time comes to get the house cleaned. Upholstery cleaning and air duct cleaning are also among the top services we offer. If you are experiencing allergies every time you sit on the couch or turn on the A/C – Call Us. More than the carpet that holds many allergens, the upholstery and air duct vents as well could cause it. When you nap on the couch and with time the couch becomes more sticky and dusty. Also, when the air duct vents in the house have not been cleaned for a while. All of those reasons could cause your inconvenient feeling of a running nose and allergies. When you attempt to dry your clothes in the dryer, but it does not work, it means that your dryer is clogged. Your clogged dryer is risky and hazardous. Therefore, when you face this issue, please call us to clean the pathways of your dryer vent. The lint builds up in the dryer vent and with high temperatures could catch of fire. Dryer vent cleaning in Mission Viejo is among our high priority services, please use it for your own safety.For more Information about our carpet cleaning Mission Viejo, contact Dr. Carpet Irvine today. In Addition, we offer same day carpet cleaning Mission Viejo service.